You probably hadn’t heard because it didn’t get a lot of attention, but David Daoud Wright was convicted in a Boston federal court last Thursday of conspiring to cut Pamela Geller’s head off. Ten years ago Pam Geller interviewed me in Washington, DC after an exchange I had with Newt Gingrich at National Review’s “Conservative Summit.” I had no idea then who she was, but it was clear that she was an intense person on a mission. 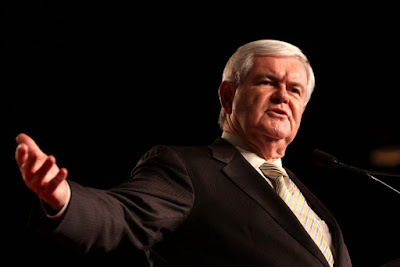 Gingrich had just finished a speech in which he predicted that sometime in next ten years radical Muslims would destroy an American city with an atomic device. Happily, that has not yet come to pass. During the question and answer period following his speech, I went up to the microphone and identified myself as a middle school history teacher. I told Gingrich that my job of explaining to my students why radical Muslims were trying to kill us was getting difficult because the Bush Administration kept denying any connection between Islamic terrorism and fundamental Koranic teachings. My students were hearing one thing from me and another from the president. That put me in an awkward position as a teacher in the public schools. Gingrich basically told me to keep doing what I was doing. As I returned to my seat I was swamped by media people asking me questions, and the most persistent was Pam Geller. I’ve met her several times since at CPAC (Conservative Political Action Conference) and she’s nearly always accompanied by her sidekick, Robert Spencer. 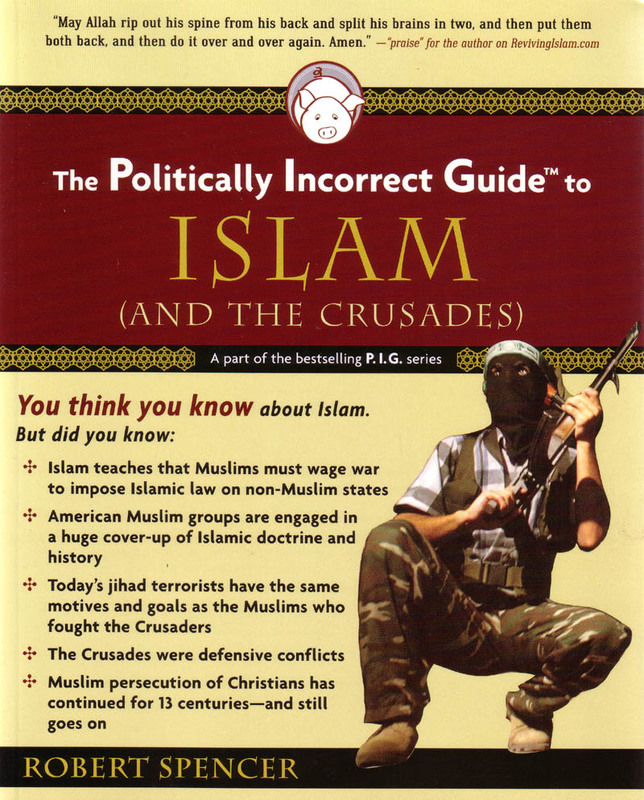 He directs Jihad Watch and is the author of seventeen books, including the New York Times bestsellers The Politically Incorrect Guide to Islam (and the Crusades) and The Truth About Muhammad. Even before ISIS condemned her to death, she was surrounded by bodyguards. When once I slid into a booth with Geller and Spencer for a chat at a Washington hotel lounge, I was immediately aware of rugged-looking men in nearby booths scrutinizing me before Geller signaled that I was okay. She’s an extremely courageous American and a Jew who won’t be intimidated by Islamic threats — and she’s willing to pay the price for speaking out. 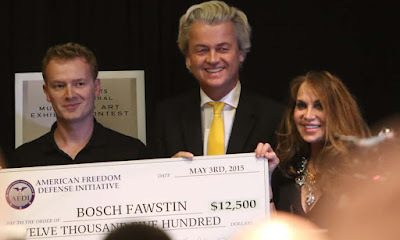 Like her friends the Somali immigrant Ayaan Hirsi Ali and Dutch Member of Parliament Geert Wilders, she lives under guard 24-7-365 and will for the rest of her life for daring to publicly criticize radical Islam. Fatwas are not empty threats. 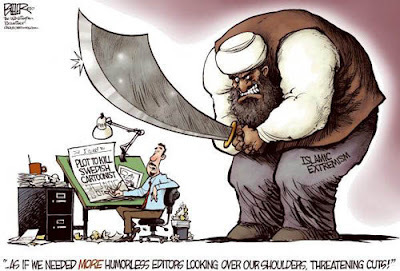 They were issued against a Danish newspaper and a French magazine for publishing pictures of Muhammed and jihadis twice tried to kill the Danish cartoonist. 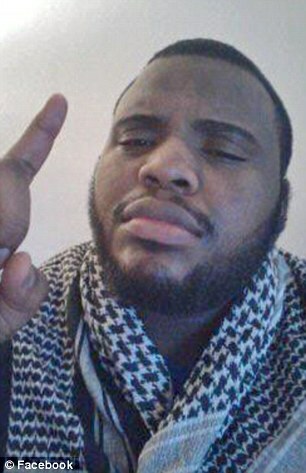 In January, 2015 jihadis murdered fifteen Charlie Hebdo magazine staff people in Paris. 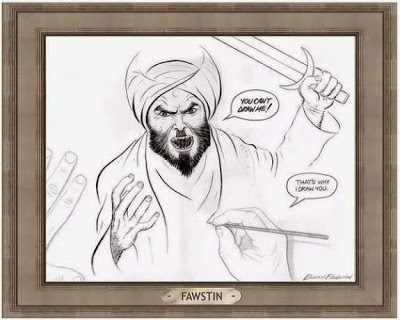 American media outlets (except for my web site a few others) self-censored and declined to publish the Muhammed cartoons.They claimed it was out of respect for the religion of Islam, but this writer sees that as a smokescreen for cowardice, because they had no problems publishing images degrading Christianity. Yeah, right. There was a time when I would have had no doubt about the credibility of a statement like that from the Director of the FBI, but those days are long gone. Thank you Tom! Great and accurate article that exposes the threat that the apologists have been denying for decades. I'm not quite sure what the point of this column is. You state obvious facts about there being radical Muslim terrorists who want to kill us and then....? Maybe your intent is to cast doubt upon an organization who you fear might bring up evidence to help topple the the Orange Toddler? Hard to tell. This "article" is just recycled trash of a piece of garbage Tom wrote a year or two ago. Yes, I I've seen this one from him about 5-6 times. Tom only has a few columns that he he slightly rewords every few months - Muslims are evil, blacks (or Native Americans, or women, or anybody white America has mis-treated) should just stop whining and shut up because they don't have it as bad anymore, gays are sick and twisted people, and America would be great as old-fashioned apple pie if it were not for liberals. I think that about covers it, except when he tosses in his non-political topics, which really aren't so bad. All his political posts are as thought out and truthful as his classic column which predicted a "Romney Rout". He has no feel for the real America, just his distorted version he hears about in his bubble. Oh, don't forget his frequent columns denouncing science! He can prove science is not real. Take the time that he disproved global warming because - and this is for real - he said it was cold that day in his backyard, so there! 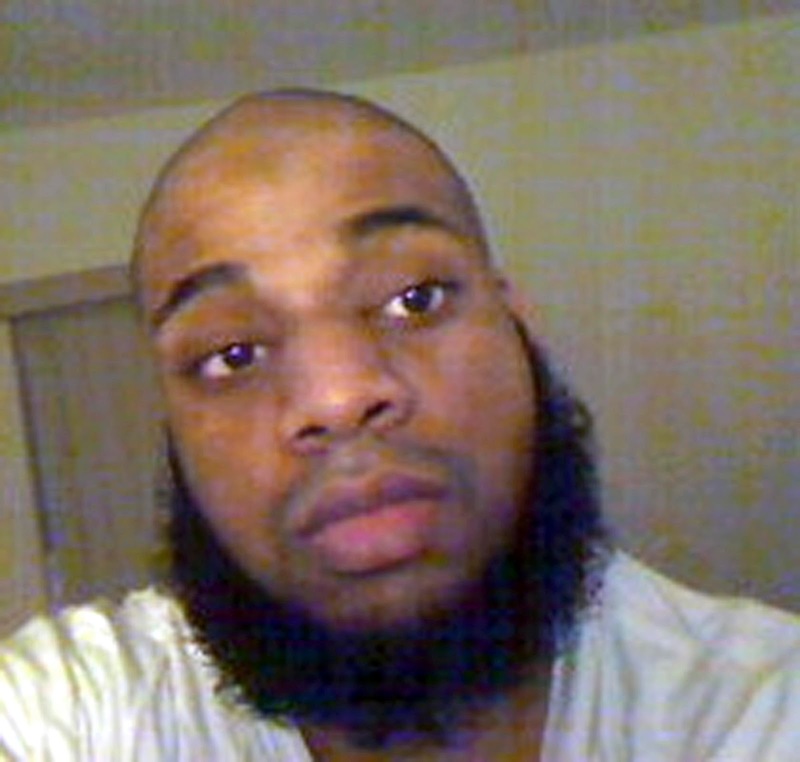 "David Daoud Wright was convicted in a Boston federal court last Thursday of conspiring to cut Pamela Geller’s head off." GOSH! "a year or two ago"? Who knew that our host was psychic! rather than the ACTUAL inevitable slings and arrows of "compassionate" or "common sense" ignorance of 3000 years of recognized patterns in "history" up to, and including last weeks official excuse for clear and present lies, repeatedly debunked reinforcement, and laughable projection of "fault" upon the innocent. "MAYBE he's just...." critical thinking. Entryism, convergence, and the inevitable Killing Fields....from Pre-Crusades to contemporary Young Adult Science Fiction. TRIGGER WARNING: Only ONE of many higher level observations on Political Science/ Economics, unencumbered by politically corrected humanities. TRIGGER WARNING: Like "Wiki", without rhetorical propaganda vandals. Islam has 1.8 billion followers. 24% of the word's population. They are not all out to kill you Tom. Get a grip. Excluding 9/11, white Christians shoot and kill more Americans. Not out to kill us? Didn't you see those big dark scary faces Tom posted? And the cartoons of them wielding enormous swords? ....his non-political topics, which really aren't so bad. I suppose if you like insipid tripe, they're palatable. I wonder why Tom concentrates on dangers that are less than those he ignores. It is almost like he has an irrational agenda. There were almost twice as many terrorist incidents by right-wing extremists as by Islamist extremists in the U.S. in the last 10 years. And when it comes to extremist violence perpetrated by refugees, the numbers are unequivocal. In the four decades between 1975 and 2015, only 20 individuals who arrived in the U.S. as refugees either attempted or carried out a terrorist attack – resulting in three deaths. And, of most relevance to President Donald Trump’s proposed immigration ban, all three of those killings were perpetrated by anti-Castro refugees. Not a single death has resulted from terrorist activity by a Muslim extremist refugee. Yeah, you guys are right. I don't know why I think cutting my friend's head off should be such a big deal. Guess I lost my head. And just because the FBI had someone on the scene when those two Muslims tried to kill everyone at Pam Geller's contest, it isn't such a big deal either. Maybe he just wanted to see who won, right? Just because one of the Muslims was under FBI surveillance doesn't mean the agent had any idea the guy he was watching 24-7-365 might try to kill people right? When they got out or their car with the assault rifles, maybe he thought they were there to protect free speech along with the security guards. No need to suspect anything untoward, right? And besides, I'd written about Geller and Spencer a few other times. There was no need to drag it all back up again just because the US Government made a federal case out of it in Boston last week. Heck, if those Muslims down there weren't successful in their conspiracy to cut Pam's head off, some conservative Christian will probably do it for them. Guess I should run my rough drafts by you guys before I go off half-cocked. People are getting their heads cut off by Muslims all the time, so what's the big deal this time, right? Many people would have us believe that this a big "us against them" issue, and that the bad them are trying to kill the good us. Those people might want to ponder upon the fact that more than 90% of the world’s terrorism victims are Muslim. ISIS or ISIL has very little relation whatsoever to Islam. Most of its commanders were high-ranking officials in Saddam Hussein’s militantly secular, atheistic dictatorship. From what we can tell, a majority of its members, as revealed by a few courageous journalists who have interviewed them, know little or nothing about Islam. Like volunteers for other violent, right-wing military groups of the last centuries: they are young men (and some women) driven by a lust for adventure; criminal and violent proclivities; emotional and psychological imbalances; and assorted other factors. Nobody said somebody getting their head chopped off wouldn't be a big deal. We just said it was much less likely to happen than getting shot by a toddler. Or killed by a christian terrorist. You are welcome to think that the FBI should do a better job of tracking and constantly following every suspect. I'm just not sure how that fits into whatever your point is. "ISIS or ISIL has very little relation whatsoever to Islam," says Paul. Do you know what the acronyms stand for? "Islamic State of Iraq and Syria" and "Islamic State of Iraq and the Levant." Now think hard. Do you detect an Islamic connection yet? Did you read the rest of the post, Tom? Names are sometimes misleading. Look at today's YMCAs....very little relation to christianity. If a terrorist organization decided to call itself, say "The Concerned Christians", (an actual terrorist group from about 20 years ago) you would say they were true Christians that represented christianity. Or would you say they had little relation to christianity? Doesn't the notion of Caliphate play into this somehow? ...or the notion of Magisterium? My God, Tom, you do at least flush out the idiots en masse. Not useful idiots mind you. Useless. I hope for their sake that their kids are not part of the Bezlan type massacre coming to an elementary school near them soon. Maybe they'll wake up then? I don't care about majorities. And Christians far outnumber Muslims (99 to 1?) in the US at the moment. As do toddlers with foolish parentals who don't lock up their guns. Talk about immature thinking? Maybe it's Global Warming that causes jihad! Jared said... "I hope for their sake that their kids are not part of the Bezlan type massacre coming to an elementary school near them soon. Maybe they'll wake up then?" Well, the gun nuts didn't wake up after Sandy Hook. And how is it idiotic to worry more about dangers that happen more often? I have a feeling this question won't (can't?) be answered. True, ISIS is compromised of people who claim to be Muslims. But the number one victim of this barbaric terror group is Muslims. That’s undisputed. "Maybe your intent is to cast doubt upon an organization who you fear might bring up evidence to help topple the the Orange Toddler?" I think you're right on that one, Brian. I remember a few years back, Ann Coulter said she and her publication, Human Events, and Bill O'Reily said he and his network, Fox, all came out early on to proclaim Obama was born in the US and that they never challenged his country of birth. I always had it in the back of my mind that they strategically declared that because they anticipated the Republican presidential nominee might be the Canadian-born Ted Cruz. You can't rightly challenge Obama's presidential eligibility because he was born in Kenya or Malaysia or wherever, and then vote for Ted Cruz. 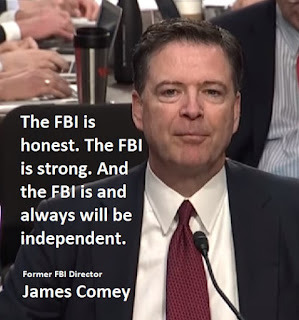 The beauty of this will be how much credibility Republicans place in the FBI if they conclude there was no Russian connection or can't prove any of it. It'll be like the Republicans who rail against the liberal media/propagandist arm of the Democratic party and then freely cite articles from the NYT or Wash. Post when their reporting helps make their point. Exactly. The alt-right only finds things credible if it supports what they want to believe. Otherwise it is "fake news" or untrustworthy. Crazily enough, support for Putin among Trump supporters has gone up 20%. The lemmings are even willing to change their views on a murderous, authoritarian thug. "Crazily enough, support for Putin among Trump supporters has gone up 20%...."
Gosh, I missed that "Latest survey shows...." CNN? MSNBC? Pew? Islamic News Daily? RT? Twitter? Facebook? Rolling Stone? AOL? Cosmopolitan? Vanity Fair, Daily Kos? A major reason for the overall rise in Putin's favorable rating this year is Republicans' more positive views of the Russian leader, from 12% in 2015 to 32% today. Maybe gallup is "fake news" or "alternative facts" to you. Didn't hear from Breitbart, huh? It hasn't penetrated the bubble? Oh, there certainly is "fake news" going on, with and without the help of the Russians. Fake news is seeded at the fringes of the all-too-fertile right-wing media ecosystem. Having planted its roots in the soil of 4chan, the misinformation migrates to Reddit, then World Net Daily or Breitbart, eventually making it to the desk of Fox & Friends host Brian Kilmeade or one of his colleagues at the network. Trump, a devoted viewer, sits by, ready to tweet. You know the rest.